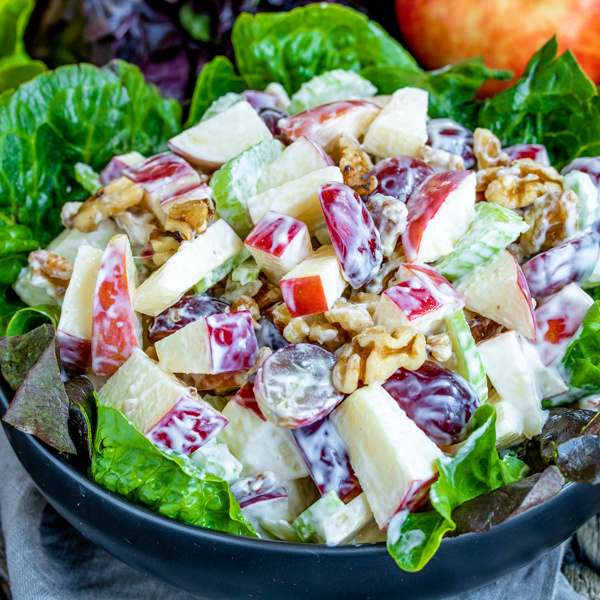 Classic Waldorf Salad with Apples and Walnuts - Home. Made. Interest. 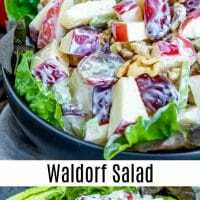 This crispy, crunchy Waldorf Salad is a classic recipe and one of my family’s favorites. 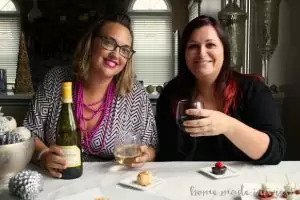 It was originally created for the Waldorf-Astoria hotel to serve at a charity ball. 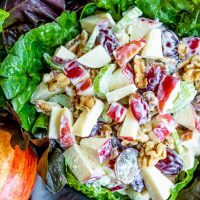 It’s an easy side dish is made with crisp, fresh apples, grapes, celery, walnuts, and tossed in a creamy dressing of mayonnaise. 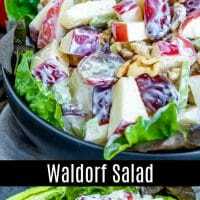 You can serve Waldorf Salad over lettuce or on it’s own. 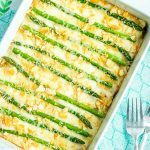 Either way it’s a delicious take on a fruit salad that makes a great Easter side dish or Thanksgiving side dish. 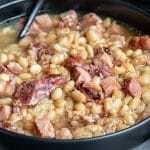 You can even add chicken to it to make it a light lunch. 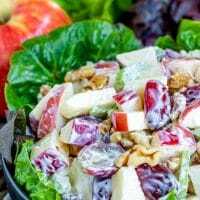 What is in Waldorf Salad? 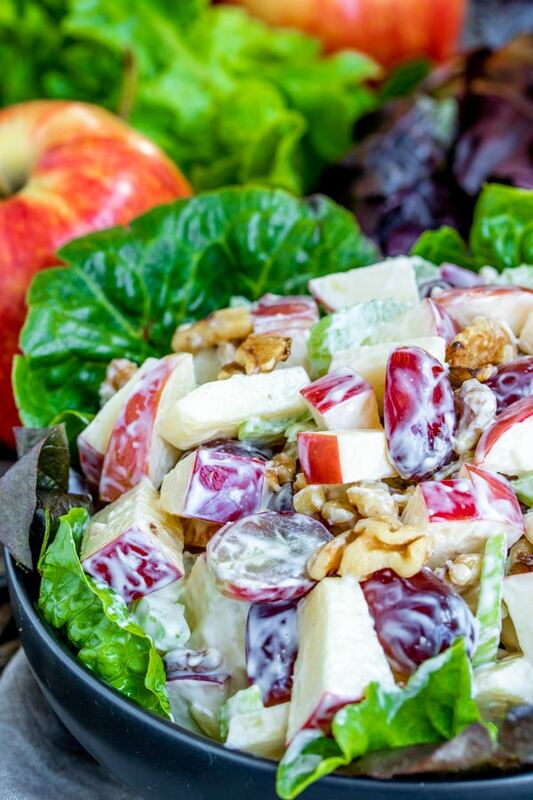 Traditional Waldorf Salad includes apples, grapes, celery, walnuts and mayonnaise. 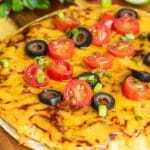 Updated version of the recipe sometimes substitute yogurt for the mayonnaise and add dried fruit such as raisins to the salad. 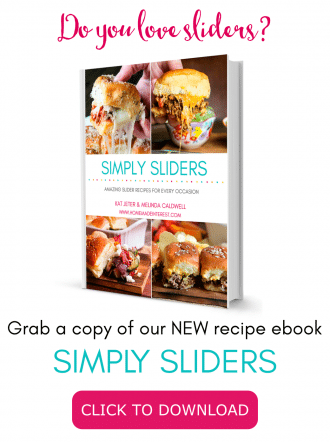 To make the salad into a complete meal you can also add cooked chicken or turkey. In a small bowl whisk together the mayonnaise, lemon juice, and salt. 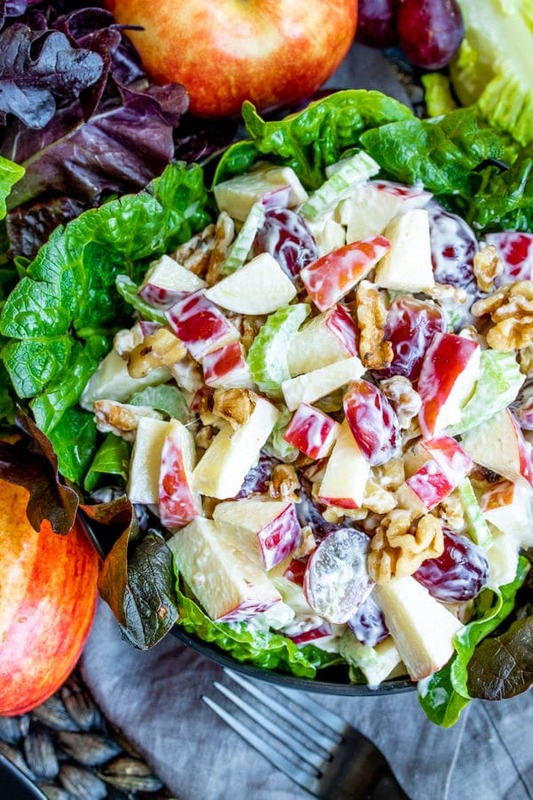 In a large bowl combine chopped apples, celery, and red grapes. Pour the mayonnaise mixture over the fruit and toss together. How Long Does Apple Salad Last? 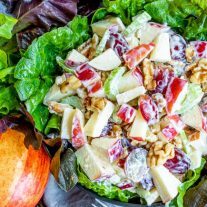 An apple salad like this Waldorf Salad can last up to 3 days in the refrigerator if stored in an airtight container.